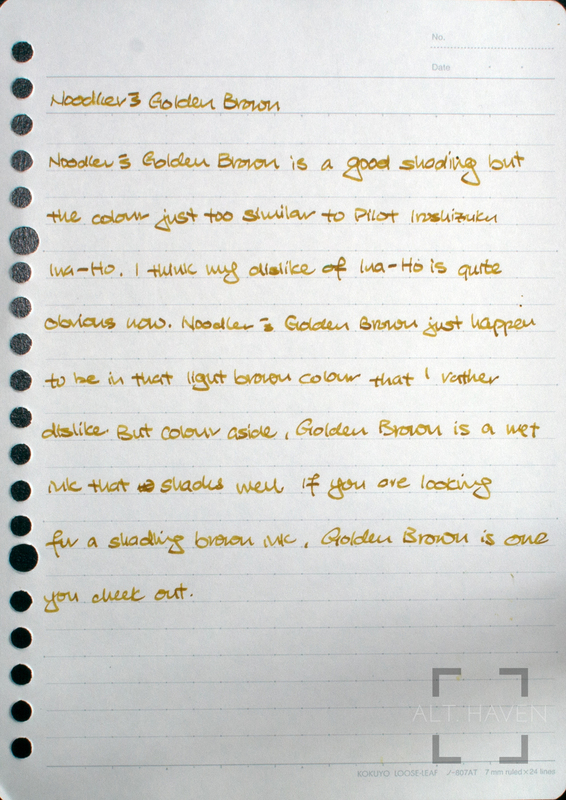 Noodler’s Golden Brown is a good shading ink but the colour is just too similar to Pilot Iroshizuku Ina Ho. I think my dislike of Ina Ho is quite obvious now. Noodler’s Golden Brown just happens to be in that light brown colour that I rather dislike. But colour aside, Golden Brown is a wet ink that shades well. If you are looking for a shading brown ink, Golden Brown is one you should check out. I realised I do not have a swab of Pilot Iroshizuku Ina Ho. If anyone want to spare me enough to do a swab of the ink, please get in contact with me. Thank you.